Preparation for the tender of smart electricity meters by Lithuanian energy distribution system operator Energijos Skirstymo Operatorius (ESO) which is a part of SOE Lietuvos Energija, has received great attention of Lithuanian and international potential producers and suppliers. By implementing a unique public procurement to acquire a smart accounting system (smart meters, information systems for their control and data collection) the Company has invited companies to become familiar with the smart accounting development plans in Lithuania. The event participants were furnished with all detailed information on the public procurement planned: technical specification, procedures and duration were discussed, a press release from ESO states. During the nearest decade, ESO plans one of the biggest investments into the enhancement of reliability, safety and smartness of the electricity and gas grid. "We are preparing for a historical investment, therefore seek to ensure that the process would be smooth. The installation of smart meters – one of the most important goals of Lietuvos Energija group. Contacting with potential tenderers, hearing out their opinion and discussion – is a consistent ESO step towards the grid smartness process. The installation of the smart accounting in Lithuania should create a value for consumers," told Mr. Darius Maikštėnas, CEO of Lietuvos Energija. A new attraction centre will open for the citizens of Vilnius. The goals of ESO 10-year investment plans correspond to the goals of strategy LE2030 of Lietuvos Energija Group – network reliability and digitization by improving quality and automating processes. By implementing the projects planned, ESO will invest its funds; as an alternative, a possibility to increase the share of the borrowed capital will be assessed. During 2018-2027 it will be sought to improve the quality of ESO services, to establish conditions for customers to monitor precisely energy consumption, receive precise bills and save energy by using it in a rational way. Therefore, it is intended to install smart meters, renew information systems. ESO plans to complete procurement procedures by the end of 2019, and to start installing smart meters since the middle of 2020. It has been planned that investments into the programme on installation of the smart accounting system in Lithuania will exceed EUR 200 million. It is sought that upon installing a smart accounting system energy resources would be used more effectively, supply disruptions would be eliminated much more expeditiously. The energy infrastructure in the country will become more attractive for local business and foreign investors. 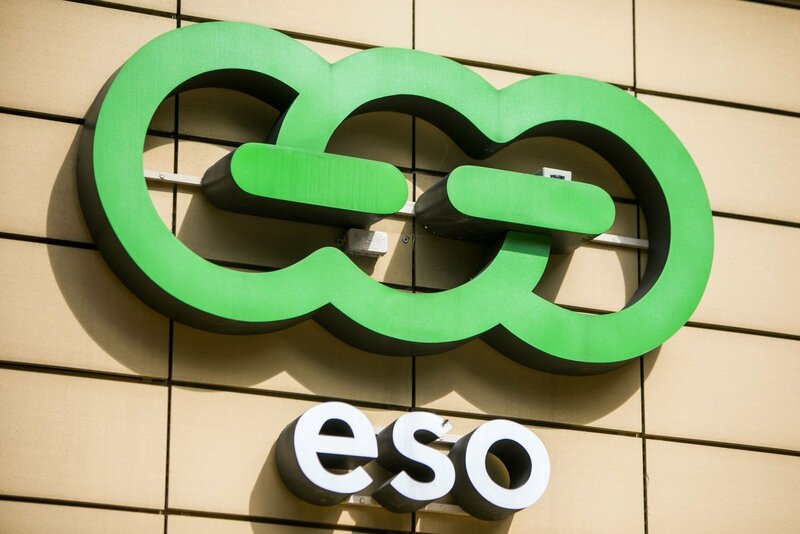 In 2017, ESO implemented a pilot project of smart accounting aimed to find out possibilities offered by the smart accounting system; establish conditions for customers to save electricity and time. Customers especially favourably evaluated the advantage of smart meters when they had been relieved of the duty to write down indicators of meters, and average energy consumption reached approximately 7 percent. This functionality remained for customers also after the expiry of the pilot project. The successful pilot project has demonstrated that it is worthwhile installing smart meters in Lithuania nationwide.